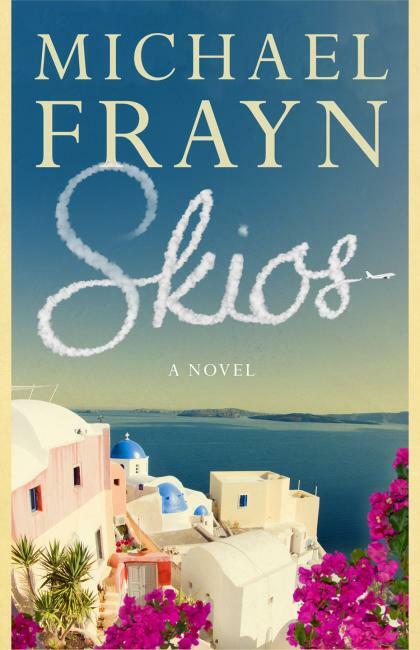 I have been really looking forward to reading Michael Frayn’s Skios, long-listed for the Man Booker prize, and saved it up to read after a few weeks of lecture preparation. I needed something light to read, so Frayn’s attempt to put the theatrical farce into novel form was very appealing. 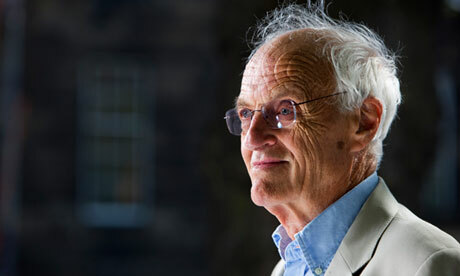 Frayn is most famous for his play Noises Off, which I really enjoyed when I saw it (and you can read my review here). I have also enjoyed some of his other novels, most recently Spies. Of course, I knew Skios would be quite different, but I have to admit that it just didn’t do it for me. This may be because, after two weeks of immersion in Dickens and Dostoevsky, I wasn’t really in the frame of mind for farce, but it was just too … frothy. It gently satirises academics: the setting is the Fred Toppler Foundation, on the island of Skios, where culture and civilisation is studied in extravagant events with illustrious speakers. One such illustrious speaker is Dr Norman Wilfred, who arrives on Skios at the same time as philanderer and charming wastrel Oliver Fox. Oliver decides to pretend to be Wilfred, and is feted at the Foundation as an educated and eminent man, while Norman ends up in the villa in which Oliver had intended to spend some time having an affair, with the woman Oliver had been planning to seduce. This should have been funny, but somehow it wasn’t particularly. Frayn has described the novel as ‘an experiment to see you if you can write a farce as a novel without the communal response that helps farce to work in the theatre’ and, to be honest, I don’t think the experiment worked too well. Oliver’s nonchalant manner in assuming the role of the eminent academic, and his ability to charm everyone into believing him despite his lack of knowledge about ‘scientometrics’, Norman’s specialist subject, is quite amusing. Indeed, he plays around with his audience, asking them, ‘How do you know I am Dr Norman Wilfred?’ At times, neither man is really sure themselves who they are, but this isn’t a novel into which one can read psychological complexities or identity crises, and the characters are, as one might expect in a farce, entertaining but not engaging; they seem cardboard figures whom it is difficult to either like or dislike. The Fred Toppler Foundation itself is the best creation of the novel; it pokes fun at academic language, people and ideas: ‘They had had lectures on the Crisis in this and the Challenge of that. They had an Enigma of, a Whither? and a Why?, three Prospects for and two Reconsiderations of.’ It is the Foundation that also suffers most in the end, and with quite a few deaths, which is surprising in the context of farce. However, I was pleased that the ending (I don’t think I’m giving away too much here) doesn’t tie up all the ends neatly, and in fact Frayn satirises the genre itself, pointing out what ought to happen – if these were characters in a book, for example, where all the confusion would end, like a Shakespearean play, in marriage, retribution and closure. Instead, the characters seem to drift away, leaving the Fred Toppler Foundation to sort itself out after the chaotic events. This is a well-written novel, with excellent dialogue, and I quite enjoyed it in a way, but there is nothing – whether humour or something more serious – to get your teeth into.